This is an example of an NTP server section, "ntp-server.local" is an example of a host name for an NTP server on the local LAN. Add more sections as required using a host name or IP address as part of the section name. Note that the short polling values in that example section are not suitable for a public server, see Configuring NTP Using ntpd for an explanation of suitable minpoll and maxpoll values. 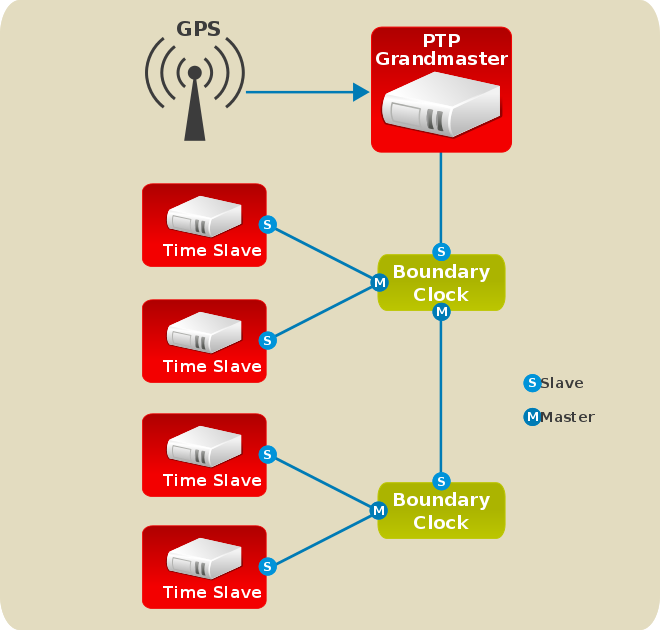 For each NTP server you want to control using timemaster, create [ntp_server address] sections . Note that the short polling values in the example section are not suitable for a public server, see Configuring NTP Using ntpd for an explanation of suitable minpoll and maxpoll values. If required to use ntpd as the NTP daemon on this system, change the default entry in the [timemaster] section from chronyd to ntpd. See Configuring NTP Using the chrony Suite for information on the differences between ntpd and chronyd. In the [chronyd] section, add any command line options to be passed to chronyd when called by timemaster. See Configuring NTP Using the chrony Suite for information on using chronyd. In the [ntpd] section, add any command line options to be passed to ntpd when called by timemaster. See Configuring NTP Using ntpd for information on using ntpd.